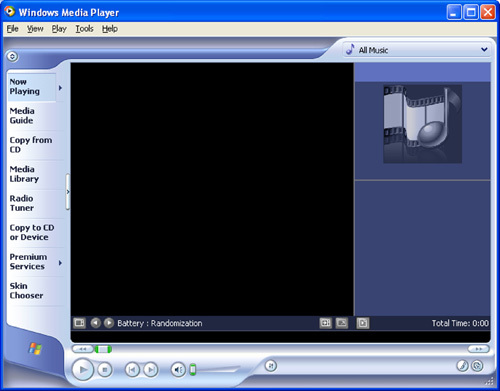 How to burn mp3 CD using Windows media player? 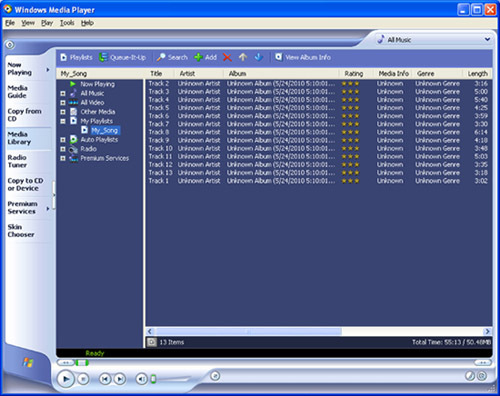 How to burn mp3 CD? This article shows how you can burn mp3 CD using Windows Media Player. 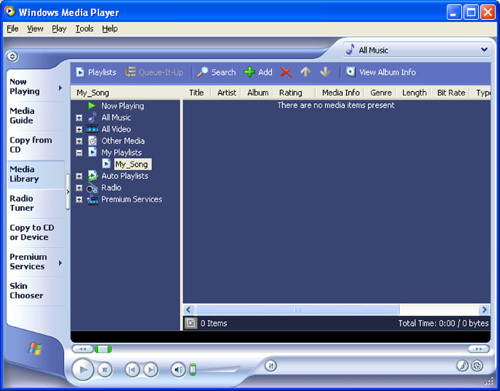 If you are using Microsoft operating system, Windows media player is already installed with the system program. You don’t have to buy additional burning software to create mp3 CDs. MP3 (Motion Pictures Experts Group Layer 3) is a popular format which enables to compress digital music into small size without losing its quality. MP3 audio files occupy less space on hard drive or music player devices. It also requires less time to download from Internet. For these main reasons, MP3 becomes a standard format used to store, transfer and play music files. To burn mp3 files, first you need to create a playlist and add audio files into the playlist you have created. 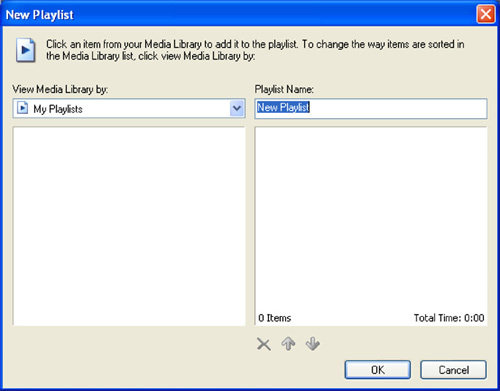 On Media Library tab screen, choose Playlists Tab (a box with right arrow) found on the upper-left corner of the screen to create new playlist. Type your playlist name in the right side box. In my case, I give a name “My_Song” to burn mp3 CD. The new playlist folder will be created under My Playlists media library folder. Add mp3 files to the created folder, in my case “My_Song” playlist folder. 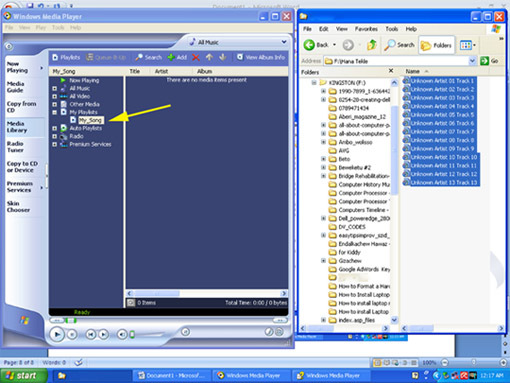 To add files, put the Media player and the source folder screen side by side as shown below and you just select the files from your source (hard disk, flash disk or other removable device) and drag and drop the files. When you add files you shouldn’t pass the maximum limit of a standard CD (650 - 680MB of 700MB) size. At the bottom of the screen you will see the number of files you added, size and the total length. As shown below, I have added 13 MP3 music files to “My_Song” folder which are ready for burning. Here, you can rearrange the songs order as you like. You can also edit song titles, artist name and album name. Burn MP3 CD Once you finish adding files into the folder, go to Copy to CD or Device tab. Here you will find two screen Panes, Items to copy pane and Items on Device pane aligned left and right respectively. From Items to Copy pane choose your new folder, in my case “My_Song”. This shows list of music files listed in that specific folder. Upon finishing the above steps, Insert a new blank CD into the CD burner. Click the Copy button found on the upper-right corner of the player screen. This will start the burning process, as shown below. The burning process has two phases. The first phase convertes the files into a sterio file format. Once it is finished it will begin copying the files to the CD. 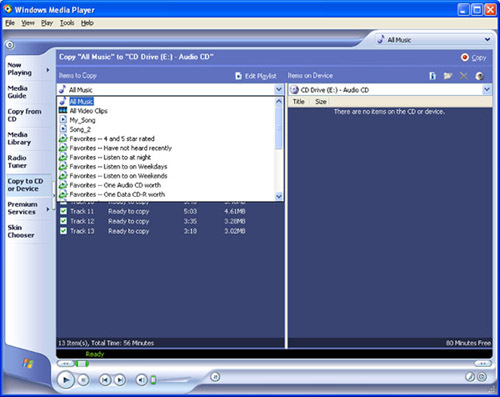 For best result, it is recommended not to perform other tasks on the computer when burning mp3 music file. Actually, this depends on the type of processor you have. A computer with Multi-core processor (dual-core, quad-core) performs more than one task at the same time. Upon finishing the burning, the burner automatically ejects the newly created mp3 CD. Now you have new mp3 CD which can be played on CD players. 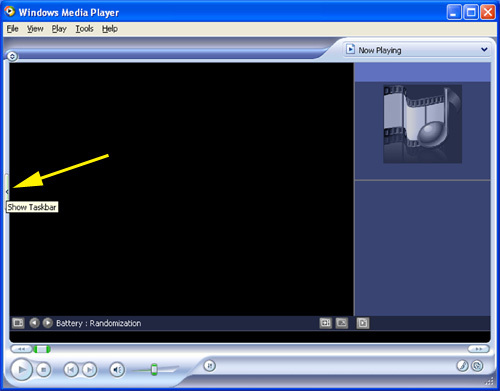 I hope this tutorial clearly showed the steps required to burn mp3 CD using Windows Media Player version 9 series.